Don’t let cold weather keep you cooped up indoors until Spring. First, don’t be afraid to exercise in the cold. Because research in the journal Medicine and Science in Sports and Exercise shows we actually run faster, and work out longer, in cooler temperatures. It’s mainly because the body has to exert less energy to keep us cool – compared to, say, running on a hot day. And it makes sense that the more muscle we build through exercise, the more calories we’ll burn each day. Which makes us less likely to pack on the pounds. Also, don’t worry about getting sick when you’re out in the cold. 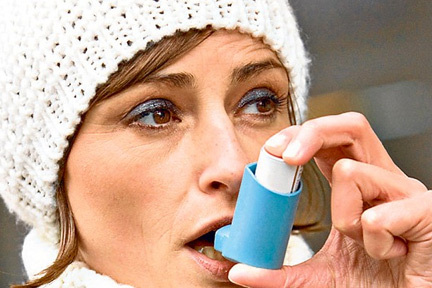 A lot of people think cold air increases our risk for catching infections. But according to Dr. Rachel Vreeman, a professor at Indiana University School of Medicine, the exact opposite is true. Because cold air stresses the body in a way that causes it to release more infection-fighting white blood cells, so we’re LESS likely to get sick. It’s being cooped up indoors that exposes us to more germs from other people. And, the air quality tends to be cleaner outside, compared to indoors. 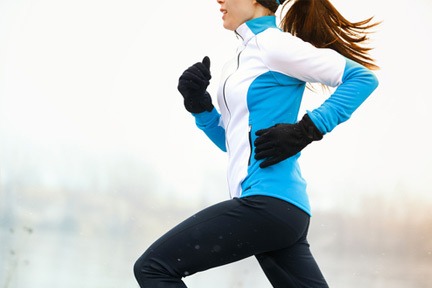 Exercising in cold weather can help you lose weight. That’s because we all have a certain amount of brown fat cells – and they can sense the cold. The cold triggers them to start warming us up – that’s why we have them – those brown fat cells release their energy as heat. And when they’re activated, we torch calories and melt our other fat, the white fat. So bundle up and take your workout outdoors. Just remember to protect your limbs, fingers and toes – which have a harder time staying warm. The days are short and the weather is cold, and that combo can do a number on your MOOD. It can leave you feeling depressed and lethargic. So, try these two happiness tips to get over the winter slump: Buy new light bulbs. Get compact fluorescent bulbs labeled “natural daylight.” They mimic UV rays and raise your serotonin levels. Also, exercise during DAYLIGHT hours. The exercise will lift your spirits, and so will the shot of sunshine. 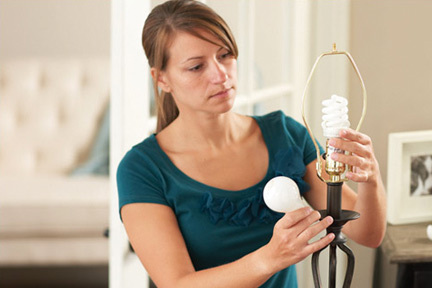 Find all different brands of compact fluorescent bulbs at The Home Depot.